I've been slacking in the workout department. Yoga once a week and walking Major are great, but they don't get me close to the recommended amount of cardio needed. Now that the weather is warmer, I'm determined to step it up. Sometimes, new gear is all that it takes to get motivated, right? I'd love to add both of these items to my gym bag. Do share, what keeps you motivated? It can be a struggle to fit it in and I always find an easy excuse not to do it. But, honestly, my motivation is sleep. Working out keeps my mood happier and I sleep better. My goal is 5x a week--which is a huge step up from my current 3x a week. 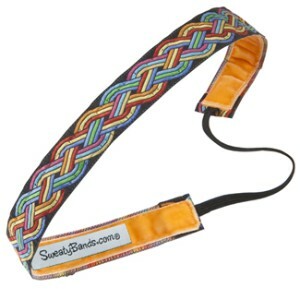 Love the headband--hadn't heard of this brand. Thanks for the tip! Good tunes, and a fun workout outfit always help jumpstart a workout! I have been religiously working out about 6 times a week for the past forever, and it is just habit that if I don't do it I feel extremely guilty. So, once you get in a habit it's hard to not find the time to do it! Summer time is super easy, it's the winter that I struggle with, but different treadmill routines help, as well as workout DVD's! anything from lululemon :) or Bikram yoga... I throw it in once a month with my regular yoga to stretch myself and it motivates me!